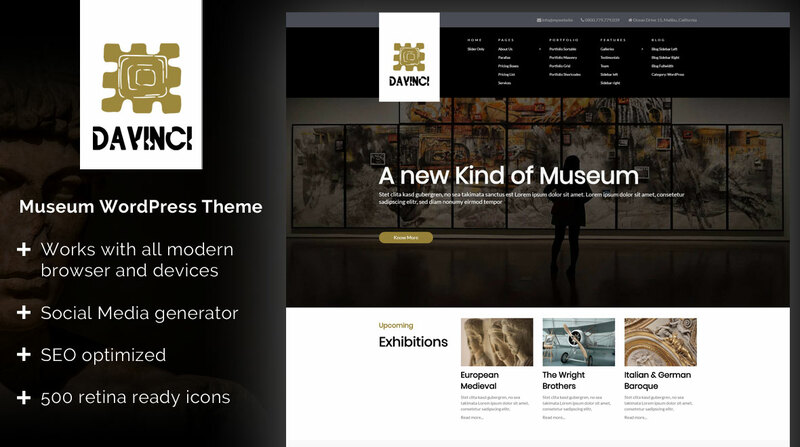 Davicin is a great looking, modern and responsive WordPress theme. It's the perfect solution for any kind of museum. You can customize the theme with more than 600 theme options. Davinci is easy to install and to use. We offer for all our themes free support and updates. Please don't hesitate to contact us if you have questions o if you need help.